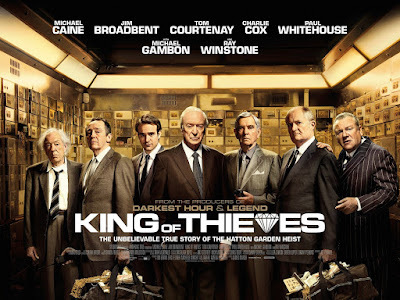 crew of retired crooks who pull off a major heist in London's jewellery district. 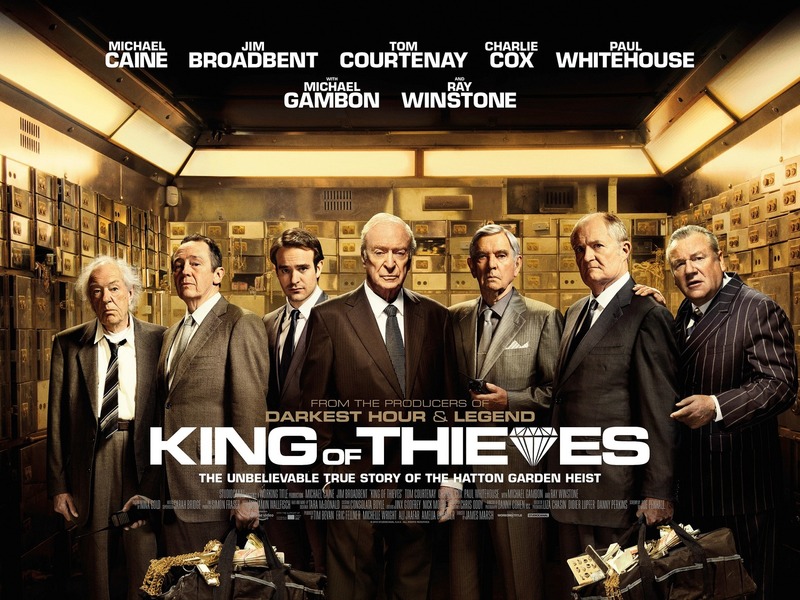 In the true story of the unbelievable Hatton Garden heist they are also joined by Charlie Cox and Francesca Annis! There are also two new posters and a trailer for science fiction action drama THE LAST MAN, previously also known under a very weird title Numb at the Edge of the End, which should hit cinemas sometime this year starring an unusual pair Hayden Christensen and Harvey Keitel! 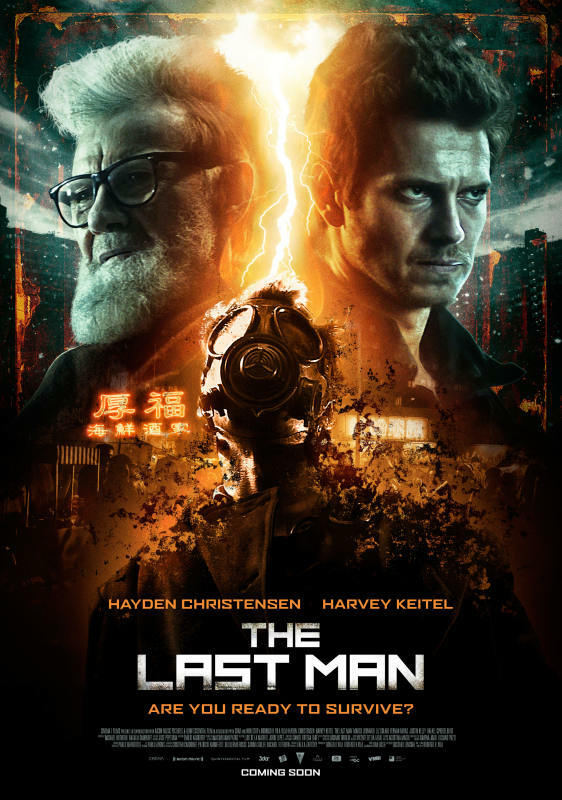 Hayden Christensen plays an army veteran with PTSD (post traumatic stress disorder) who perceives that the end of the world is coming. 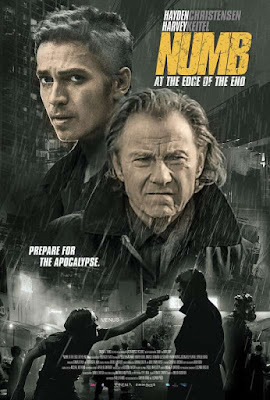 After establishing a relationship with a dubious Messiah, played by Harvey Keitel, he leaves his normal life and begins the construction of a shelter underground, training himself, in an extreme way, at the cost of losing everything and making people believe he is insane. When he also believes it, something extraordinary happens. The film is out in Argentina next week, since it is a coproduction between Argentina and Canada. Francesca Annis, the british actress, and Harvey Keitel the american actor - are good actors. It's easy to remember them for their acting and roles in the movies. However, I remember the two for an additional detail. Francesca is a perfect copy of a cousin of mine who lives in another country. (Although they're about the same age, my cousin is not active ; she's sadly disabled). There was a period when Harvey Keitel visited Israel often. The rumor was he had an israeli girlfriend. Years later, when I saw the israeli name of his wife (Daphna Kastner) I thought she's the one. It appears, however, that his wife is a born canadian actress and director (maybe her parents are of israeli origin). Interesting trailers! I watched them twice. Francesca wasn't active on film for quite some time, I've always wondered what happened to her after her famous role in one of my childhood favourites Dune. And then she got back with a rather nice role a few years ago in British two season TV series Home Fires set in WW2. 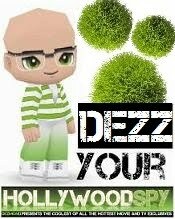 I think you would like that one, it was really nice, about a society in a small British village preparing for the upcoming war. I love how a lot of senior actors are finally experiencing their golden times on film or TV now. I never miss any films or series with Julie Walters, Judi Dench, Penelope Wilton, Celia Imrie, Imelda Staunton, Ian McKellen, Derek Jacobi and that bunch. I do sometimes also wonder what happened to all the actors who were major stars when I was little in the 80s like Richard Chamberlain, Chery Lungie, Victoria Tenant, Jacqueline Bisset, Catheline Turner, Art Malik... brings up fond memories of good old mini series and films from some better, more wholesome times. If Michael Caine's on board, you can't count me in! he tends to be obnoxious indeed, but we do ever so love Broadbent!